All of a sudden Noah is intensly interested in all things Christmas. It started when we put up the Christmas tree a few days ago and the questions have been pouring out of him every since! On and on and on I’m trying to be all excited along with him and answer his questions with enthusiasm, but sometimes it just gets too much! Sometimes I resort to distraction. Today was one of those days, so I distracted my little Christmas elf with a little Christmas garland making. 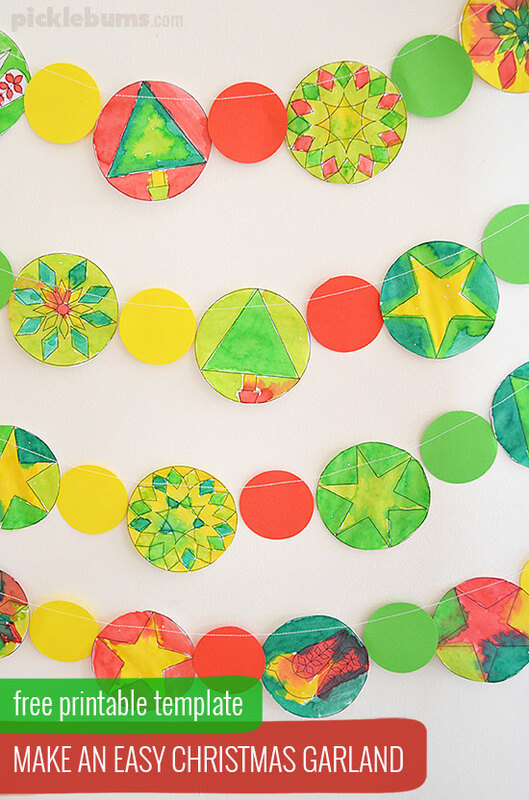 This gorgeous Christmas garland is super easy to make. All you need is the free printable template, something to colour them with and a sewing machine. 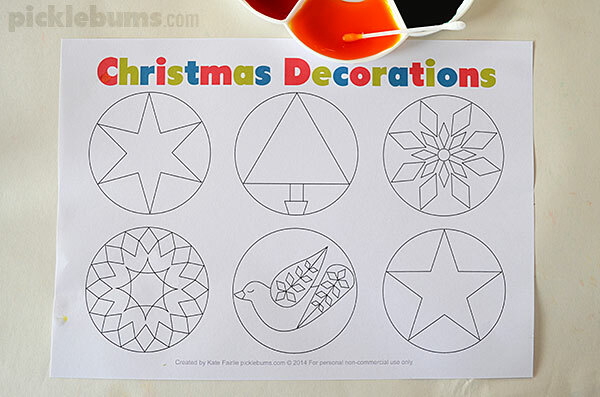 You can download the free printable Christmas garland template here. We used liquid water colours and cotton buds (q-tips or whatever you call them where you live!) 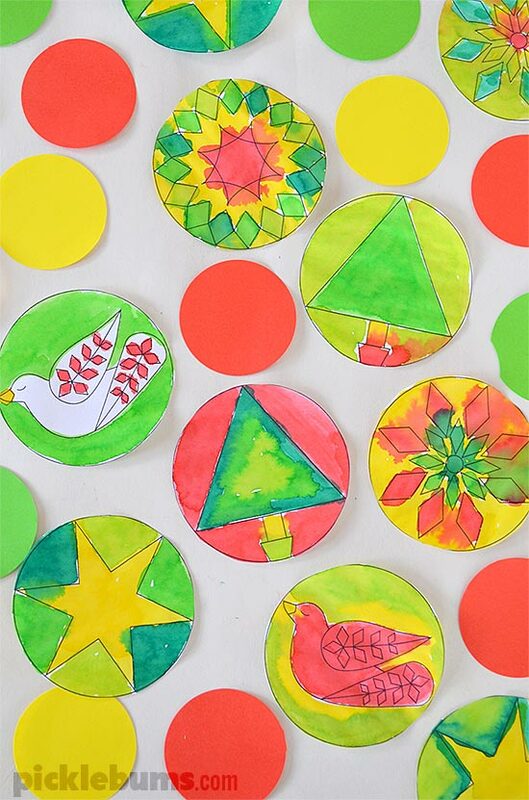 to add some Christmas colours, then we just had to let them dry before we cut them out. These would look fabulous stuck on the front of a blank card for a one of a kind Christmas card. 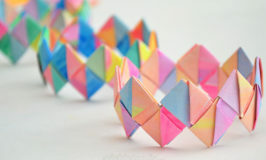 Or you could hang them from a branch as a mobile or print them onto card and hang them on the Christmas tree. We used the sewing machine to make a quick and easy garland. 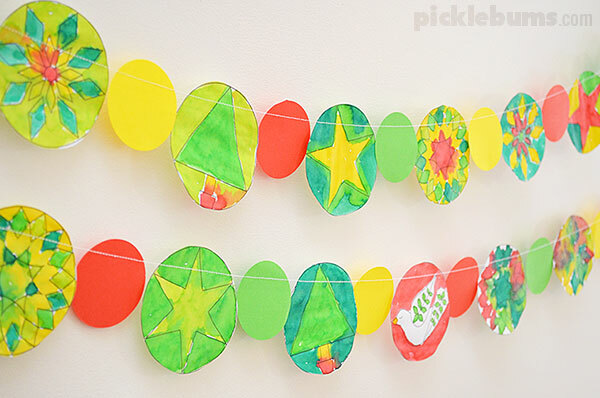 We punched some 1 inch circles in matching colours to add to our garland and then it was just a matter of feeding each circle of paper into the sewing matching and sewing them all into a big long line. 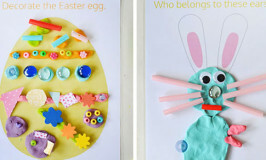 We used the same method to make our kid-made bunting and our Easter decorations, it’s super simple. Is there a little someone in your house who is very excited about Christmas? Are you being asked some curly Christmas questions too? Love this idea. 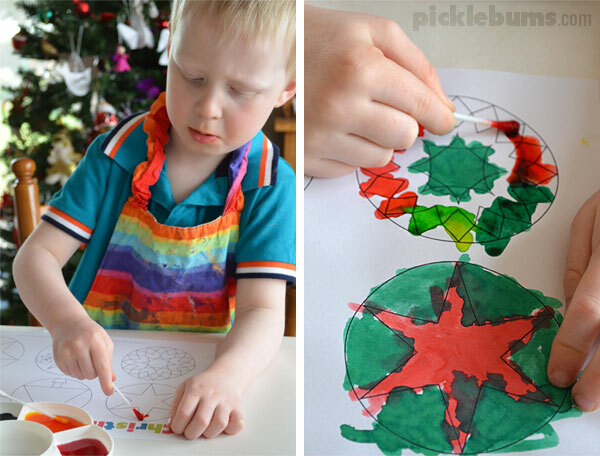 Printing for holiday fun now that school has finished here! They are not easy to get here are they! But my loving blogging friend over at Learning 4 Kids stocks them now! Yipee! This looks gorgeous Kate! I love the doves. My daughter will love this activity.